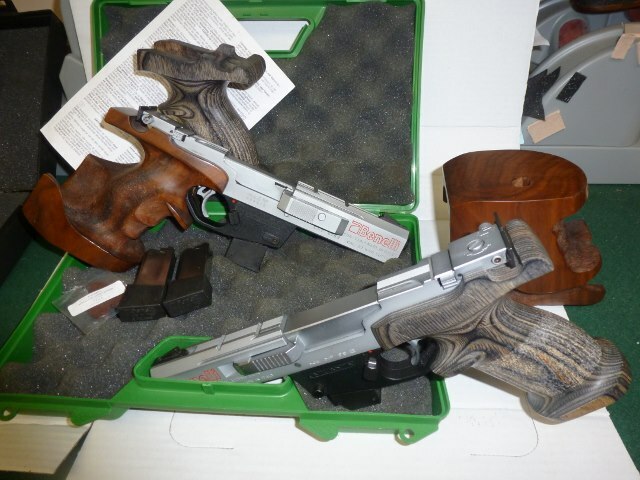 The chrome model comes with hard case and manual,three magazines and new "metal" counter weight tray.Extra buffers and medium to large Vitarbo grips as well as the factory grips.Has groves for easy mounting of rings for red dots.No tool take down.Looks and shoots excellent.Price is $975.00 and half the shipping to your FFL.USPS money order Additional photos from nax555@verizon.net Can't seem to be able to change photos to the .32 as the .22 is spoken for. I'll take a few and send them.The .22 is in front in the one photo posted. Is the 32 still available?